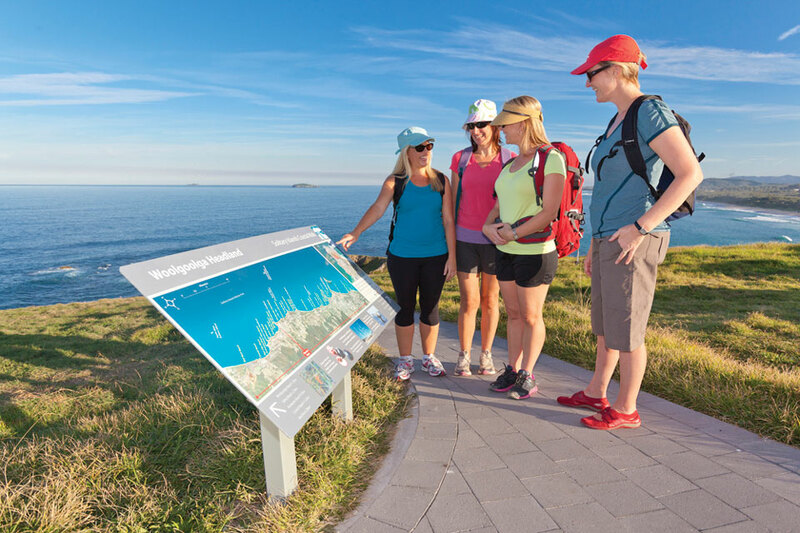 A suite of wayfinding signage was developed for the Solitary Islands Coastal Walk. Stretching 60 kilometres along the Coffs Coast the walk extends from Red Rock in the north to Sawtell in the south. 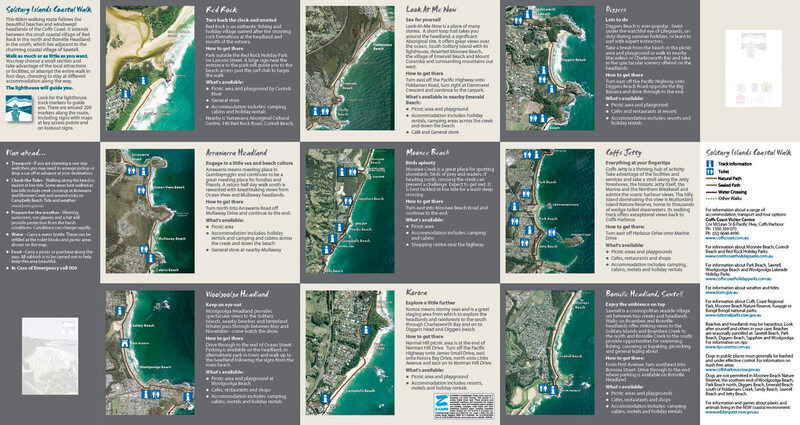 We were contracted to design the interpretive and directional signage for the walk. 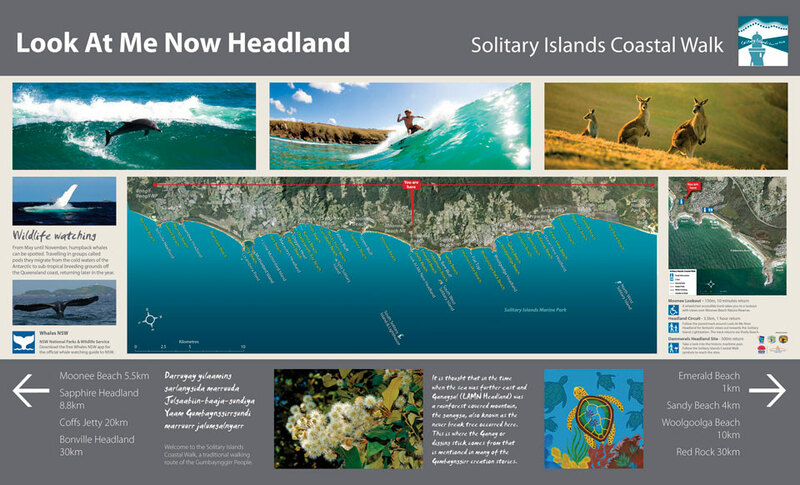 The directional signage was developed according to the NPWS style manual and adapted in consultation with NPWS Interpretation Senior Project Officer. The wayfinding component of the project included a hierarchy of signs designed to inspire locals and visitors to take the walk. 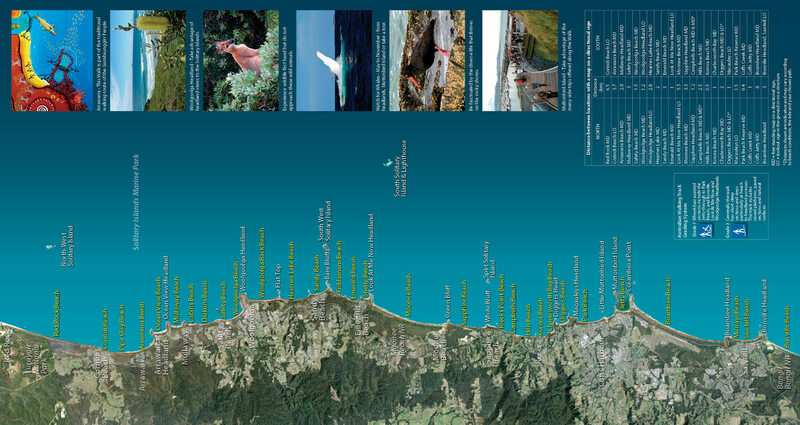 The map on the Red Rock panel includes the Yuraygir Coastal Walk which adjoins the Solitary Islands Coastal Walk. The combined length is approximately 120 kilometres stretching from Angourie in the North to Sawtell in the south. These panels are 2270 mm wide x 1060 mm high. These maps are orientated to the direction walkers will be facing when viewing them. Generally the ocean is at the top as they are on headlands and beaches but occasionally the track takes a different route and the orientation of the viewer to the ocean changes as in the Look At Me Now headland map. The maps for these signs are huge. The aerial photograph base files were generated from ArcMap. The walk and other features were also created in ArcMap as separate layers. They were then combined in Adobe Illustrator and edited to achieve this final result. They provide an overview of the walk, precinct maps and insights into the area. Not for private, public or commercial use without express written approval from Author. It felt like more! 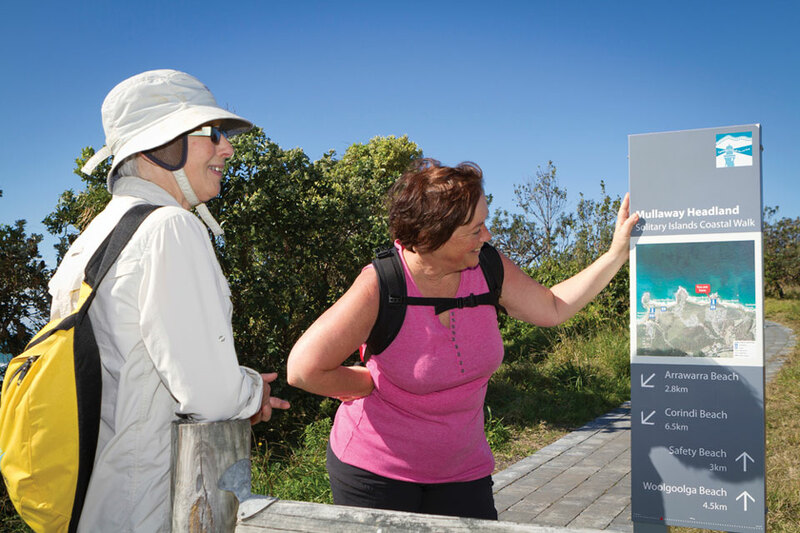 These double sided signs extend along the full 60km of the Solitary Islands Coastal Walk. 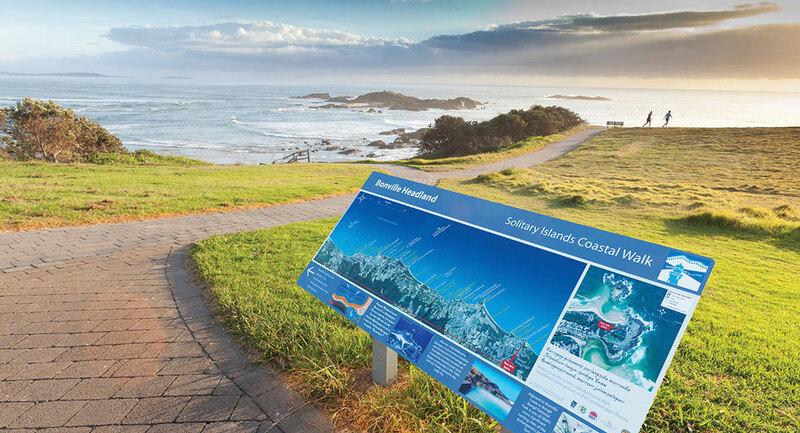 The reverse side of these signs take the opportunity to tell a story and provide visitors with some information about the area including historical, cultural heritage (Aboriginal and European) and environmental heritage (flora, fauna and geographical). 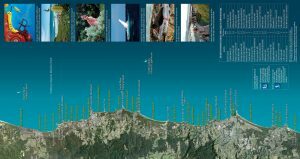 The interpretive information component of these minor directional signs was developed and provided by NPWS Interpretation Senior Project Officer. 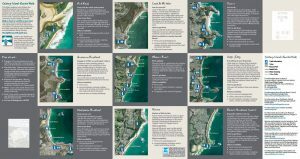 For locals and visitors a pocket sized folding brochure and map (Z-Card) was created.